Tag Archives for " SBA "
Join me today at 2pm ET for a Tweetchat surrounding the live broadcast of OPENForum’s Q and A with Karen Mills, Administrator of the U.S. Small Business Administration. Small business owners posed questions for Mills and OPENForum’s Scott Roen will moderate the discussion. In light of the recent Small Business Jobs Bill, tight lending environment, and impending changes to how small businesses deal with health care, I thought it might be interesting to hang out with some other small business owners to chat live on Twitter during the event. 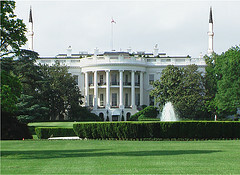 1) Bookmark this page – http://openforum.com/whitehouse – and fire it up at 1pm CT today in a browser window. Here are two recent articles on the Jobs Bill that I found interesting. FYI – I contribute to OPENForum as a blogger, but this discussion is not sponsored in any way by AMEX. I just thought it might be useful.